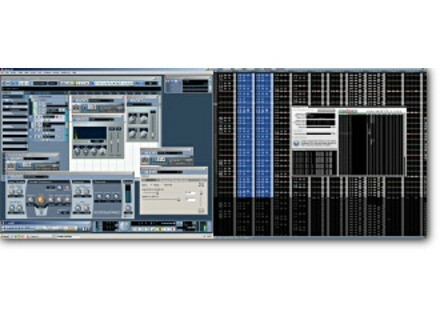 reViSiT Professional Edition, Other Music Software from NashNET. Pattern font smoothing (anti-aliasing): Like other text in Windows, the pattern fonts now take advantage of anti-aliased (smoothed) fonts, which will not only make your pattern look much nicer, but also make those awkward in-between font sizes easier to read. Full-colour instrument labels: If you thought the four instrument colours in previous versions was restrictive, you can now choose from 4 million times as many. To select a colour for an instrument, select its label in the Instrument List and hit Enter. For more information on "The Experiment" and nashNET, check out their site. Nugen Audio Updates Visualizer NuGen Audio has updated all versions of Visualizer to 1.7.